Do you hate the amount of waste, especially plastic, that we’re generating? Love to find clever ways to reduce our negative impact in our planet? 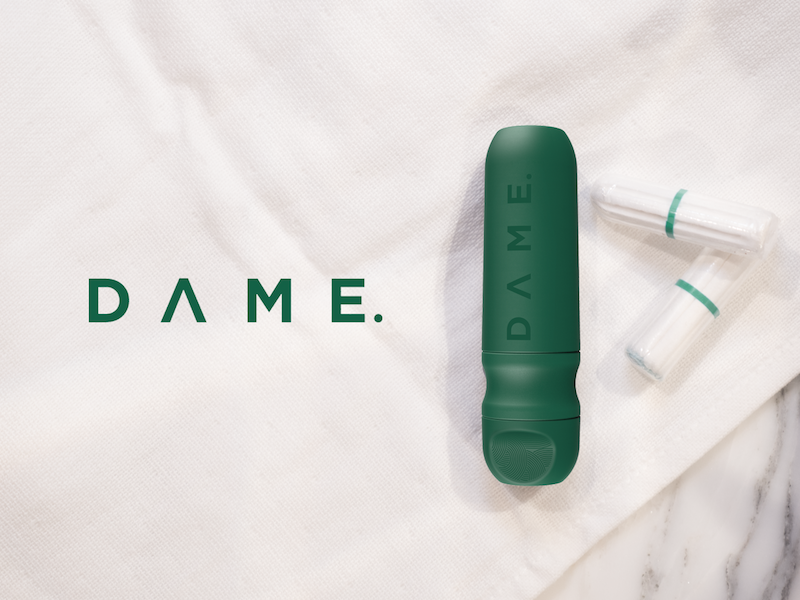 Find out how one woman is hoping to revolutionise the tampon world with D, a reusable tampon applicator and DAME organic cotton tampons. Before entering into the tampon world I was a project manager for Sotheby’s, the auction house. I swapped million pound paintings for small wads of cotton with string – and never looked back. It was the classic case of wanting to do something that meant something. It’s hard to see meaning in the humble tampon on first glance but for me it was twofold. 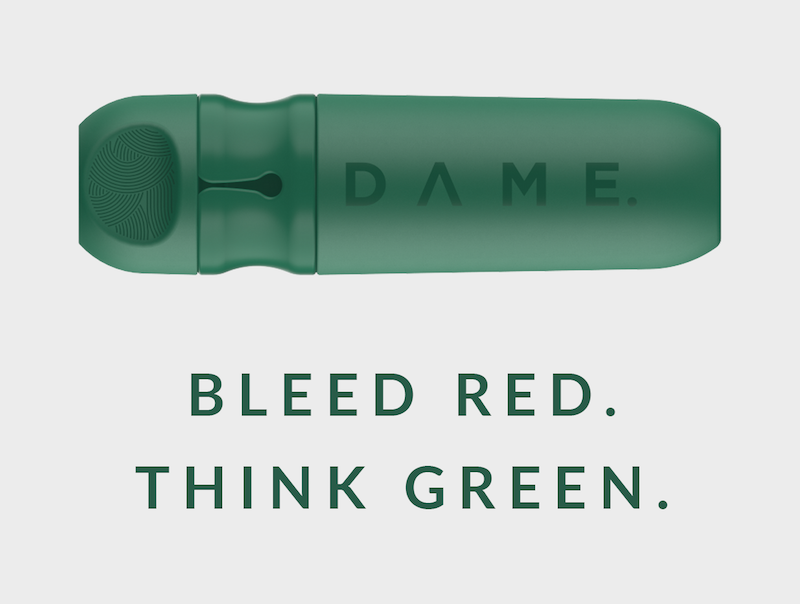 Not only can DAME help make a difference in the environmental impact of menstrual products, but we can also be part if the rebranding of periods to young girls. No more using the shaming language that has been traditionally used around this topic. Where did the idea for D is for DAME come from? Out of a previous business that used to sell period products on subscription to women around the UK. The more products we sold, the more we realised the enormous waste coming from these small everyday items. We were selling reusable alternatives (cups, cloth pads) on our site but no one was really buying them. So we investigated more and discovered that the habit change was one of the biggest barriers to women switching. Millions of women use tampons, so we wanted to offer them an alternative that already fitted in with their current preference. Choice is the key. It took 14 months from conception to launching on the crowdfunding site Kickstarter. In between that we researched, designed and produced many different prototypes. We’ve talked materials with microbiologists and friction with NASA rocket scientists, we left no stone unturned. Tampons aren’t classified as a medical device in the EU but we have designed D, our reusable tampon applicator, with a medical device facility to ensure that we bring the best product to our customers. We’ll be selling D alongside our DAME organic cotton tampons which don’t contain bleach, rayon, fragrances or synthetic superabsorbents – and have the bonus of being biodegradable. All our packaging is being designed to be reusable or sustainable. Our Kickstarter campaign was during March this year and we overfunded by nearly 300%, trended on Twitter and had the global press talking about us which blew our minds. That you can enjoy the comfort of a plastic applicator without the plastic waste. D is a period product for the 21st century. We’re targeting the 18 million women in the UK who are 25-35 years old and interested in organic food and products. They’re increasingly mindful of ecological issues and determined to make a better future for their families and the planet. They’re curious, enjoy trying new things and are early adopters of organic brands in all areas of their lives. D is a game-changing gadget. With the current global focus on single-use plastic waste, we’re lucky to be in a right place, right time situation. We’ve featured in some incredible international titles and even had a viral video made about us which was viewed five million times. 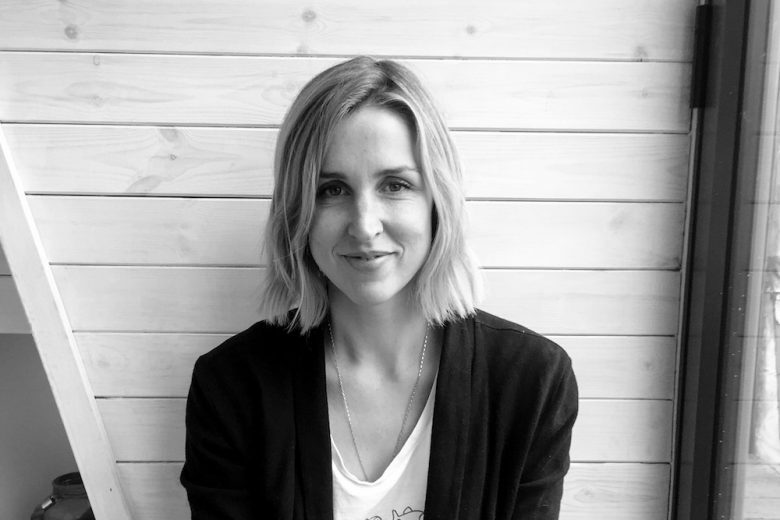 We’re also lucky that we getting some great early advocates, helping to show that while we might not be the only reusable menstrual product on the market, we’re a welcome addition to those who have yet made the leap into having a more sustainable period. Going on Kickstarter was a great decision. It’s nerve-wracking launching a product on such a public platform, but it allowed us to get proof of concept and tap into an audience who was ready and waiting for us. Investment without a doubt. Equity investment is tough when you’re a female-led business dealing in female products which sounds weird to say in 2018. The sad truth is that the majority of investors are male and they are looking for investments which they understand. I have had tampons described as “niche” and been turned down for investment because I had young kids and would be distracted. My blood boiled at that last one! Never mind that we’ve got a monthly recurring revenue (our tampons are sold on subscription), major retailers knocking on our doors, and healthy pre-sales from our crowdfunding campaigns. Our dream is to get some kickass female investors which is something we’re working on. Trending on Twitter was pretty incredible. To see that many people, from around the world, all talking about your product in such an embracing way. Head popping stuff. Walking down my street, seeing the amount of single-use plastic that sits on the pavement, I just think where is it all going? When are we going to reach our limit? There are amazing companies that are making inroads trying to solve this problem in other categories, therefore I can help try and solve it with tampons. You only need to think how many women there are, how many tampons they use every month, spread out over their lifetime, and you realise just how big a difference you can make. Anyone who I see giving birth on television. The more reality TV-style show, the better. I’m in that post-baby phase where I just have to see a head crowning and I am a puddle on the floor. How do you balance DAME with your family? Not well. Babies have come to meetings, tampons have been brought to school. There is a definite blurring of boundaries which is probably not to be recommended. Try more, fail more, sleep more (currently laughing out loud at that last one). Love to support D is for DAME? You can preorder products here before 31 May 2018.